Grant is now an assistant superintendent in the School District of Philadelphia. At just 38 years old, the former public school student has already taught in charters, opened and closed charter and public schools, worked in big-city education departments, and led a charter management organization. Her path to this current role of “effecting change in the system,” however, wasn’t exactly laid with golden bricks. Whereas principal and superintendent development programs have multiplied over the past decade, training remains scarce for those who fill often-critical roles between these positions — assistant superintendents, chief academic officers, and principal supervisors, to name a few. Depending on the district and circumstances, these educators need technical and management expertise, the ability to identify and solve problems, and improvisational skills. Their duties may range from mentoring principals or evaluating school effectiveness to designing better teaching and learning or student funding systems. For all her successes and experience, Grant credits the School System Leaders Fellowship for enabling her to have the impact on education she does today. The SSLF is one of the few professional programs that targets high-level roles in the school system’s central office (apart from the superintendency, for which there are several existing programs). The group’s leaders describe the fellowship as analogous to a medical residency. For one year, fellows — almost 70 percent of whom are former principals — work full-time in districts at the top levels of leadership, both in open positions and alongside current staff. They receive individualized coaching and participate in seminars that cover everything from instruction to system improvement strategy. The goal is to win a position in similar, if not the same, public systems two or three years after completing the program. While SSLF works intensively with small cohorts, Winn says she hopes to expand, given the many studies showing that sustained, effective training for educators yields positive student outcomes. For educators who rise through the teaching ranks and into a central office, many “get thrown in and are expected to figure it out,” says Aurora Lora, superintendent of Oklahoma City Public Schools. Lora has hired three SSLF fellows. At a time when states are still funding public education at pre-recession levels, creating a system for central office professional development is tricky if not impossible — particularly in places like cash-strapped Oklahoma City, which is also struggling to rally student achievement. SSLF, Lora says, gave her fellowship hires a support network that the district couldn’t offer. Some districts have been able to offer ongoing professional development for executives by way of philanthropy. Washington, D.C., Public Schools, for example, received a $700,000 grant from the Wallace Foundation, says Amanda Alexander, the district’s deputy chief of elementary schools. DCPS has hired SSLF graduates as three of the system’s 10 instructional superintendents. SSLF’s work may be the start of a broader movement. Initiatives are already beginning to pop up specifically for principal supervisors, says Elizabeth City, director of the Doctor of Education Leadership Program at the Harvard Graduate School of Education. City, who has worked to define abilities essential to systems-level leaders, says that programs like SSLF that combine job experience with theory and classroom learning show promise. Now in its fifth year, SSLF originally launched as a program for alumni of Teach for America, the controversial education powerhouse that places young college graduates in some of the country’s most challenging classrooms. Amid an organizational shakeup last year that closed its diversity office and cut 15 percent of staff, TFA also cut the system leaders fellowship. SSLF was able to attract support from Cambiar Education, an incubator in California that backs new organizations seeking change in the sector. SSLF now plans to expand and diversify its 2018 cohort, devoting half of its openings to non-TFA alumni while also maintaining its commitment to diversity: 70 percent of fellows are women and 59 percent identify as people of color. The number of districts partnering with SSLF has grown to 24 in 2016 from 10 in 2013, when SSLF opened for business. It’s also looking to place fellows in charter school systems. 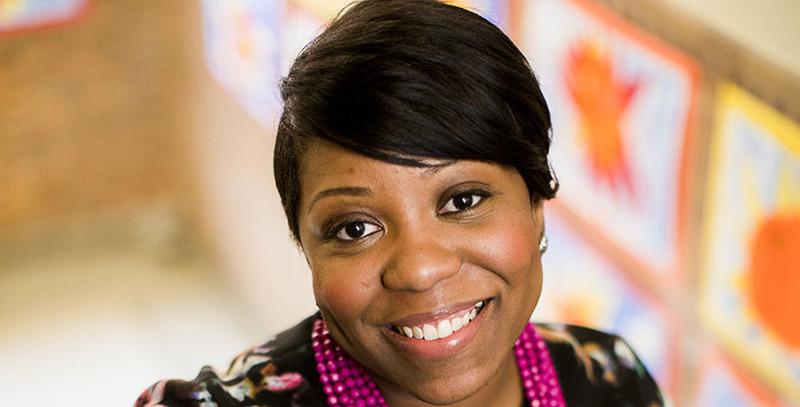 Nancy Hanks, the 35-year-old chief of schools for Madison Metropolitan School District in Wisconsin, started her career as a teacher in the Atlanta TFA corps. She later became a principal in Chicago Public Schools and then an SSLF fellow. The fellowship taught her something she says no on-the-job learning would have imparted: the importance of adult learning. “It’s not enough to want to be a leader in education just because you love kids. That’s a great impetus for it, but you have to love adults — they are the ones we need to lead and move in order to do the work for kids,” Hanks said. “Adults are still growing and evolving. They’re complicated creatures, so how do you best equip them? You have to develop a great sense of awareness and more empathy to understand how hard it can be for adults to make changes even when it’s in their best interest, and support them through change because just telling them why might not be enough,” she said. Despite the interaction they require, systems leader roles can feel forlorn, fellows say. In the top ranks of the district hierarchy, there are fewer peers to seek advice from or consult with in making decisions. Fellows say that SSLF offers its network and a support-oriented environment for help and feedback. “It’s like any senior leadership position. You’re the manager of many, but you don’t get to be friends with your principals. When you walk into the coffee room, everyone stops talking. It’s a lonely job,” said Grant, the assistant superintendent in Philadelphia. A district doesn’t have to be either heavily centralized or decentralized to be effective, but the central office will play a key role in success, Hanks says. Those in the field believe that the work of fostering effective system leaders will have to come from a number of places, all working in tandem: foundation-supported programs like SSLF, universities, and districts themselves. Disclosure: Both The 74 and the School System Leaders Fellowship receive funding from the Carnegie Corporation of New York.